A very colourful and attractive booklet has been published by YBA Publications. Although only 20 pages it is packed with information about Birthstones. 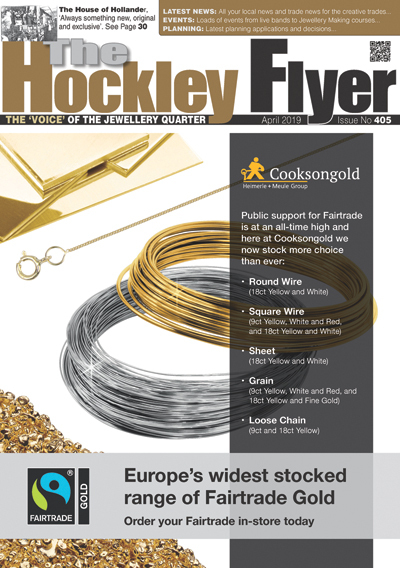 Its origins are with The Hockley Flyer where for 12 issues we ran the corresponding month’s Birthstone and their Myths and Legends. Throughout the ages, gemstones have fascinated Mankind. Lots of myths, legends and lores have evolved around them. Some of our ancestors believed they had mysterious hidden powers and healing properties, which were bestowed on the wearer. Even today, some of these beliefs still exist. Included in the guide are brief details of the largest stones and Myths & Legends. Gemstones are fascinating in more ways, we all know diamond is the hardest known natural stone, but what about the oldest diamond? Scientists have found Zircons date back as far as 4.375 billion years, and considering the planet is 4.54 billion years old, they have survived countless trips down rivers, heating, squeezing and tectonic plate rides buried deep in the Earth’s crust and back to the surface. These ancient Zircons were found in Australia in the Jack Hills.